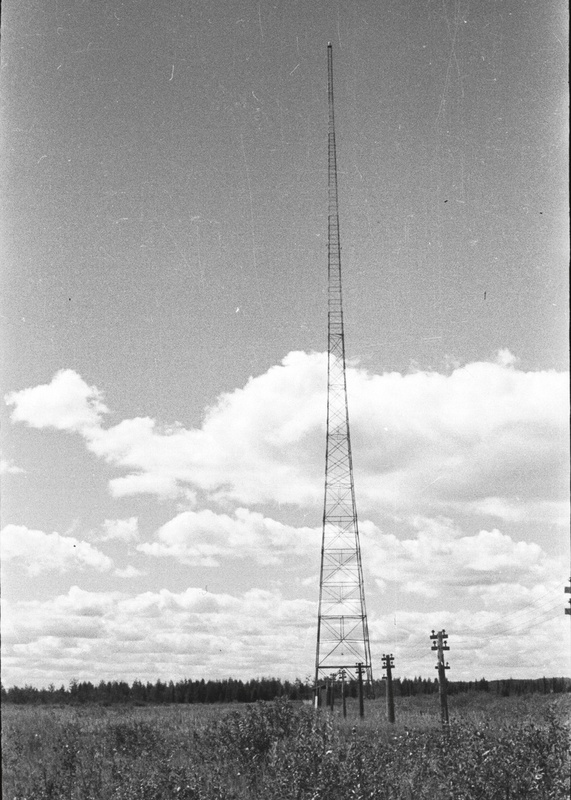 In the early 1960s, CKPR was simulcasting on AM, FM and producing original programming on CKPR-TV. Bud wrote and produced a successful radio promotion series honouring that fact. 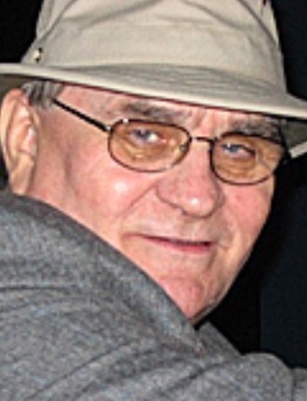 It was titled, "The Giant On The Hill" voiced by Graham Thomson, the most senior announcer on the staff. The promotion reflected the "Sleeping Giant" tourist attraction in the bay and a cartoon logo of a giant was adopted for the CKPR music chart that was distributed across the region each week. See a sample of the chart further down this page next to the bio of the staff artist Bruce McNally. 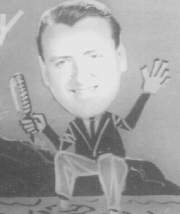 Warren Knox was the main TV announcer in the early 60s but with the arrival of Bud, Steve Halinda and Ron Knight, his duties were eased considerably. salesmen Cal Dring and Jack Alexander. TV camera man, floor director, Allan Nykanen, Wilf Josephine and Don Arnold studio camera operators. 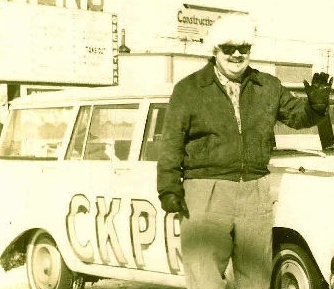 George Jeffrey remembers the good old days on CKPR with former jock Roy Daymer on the Rick Smith talk show on Feb 2, 1981, honoring the 50th anniversary of the station. Gerry had a guest shot on the Merv Griffin afternoon TV talk and variety show from N.Y. Gerry actually worked on Merv's show. 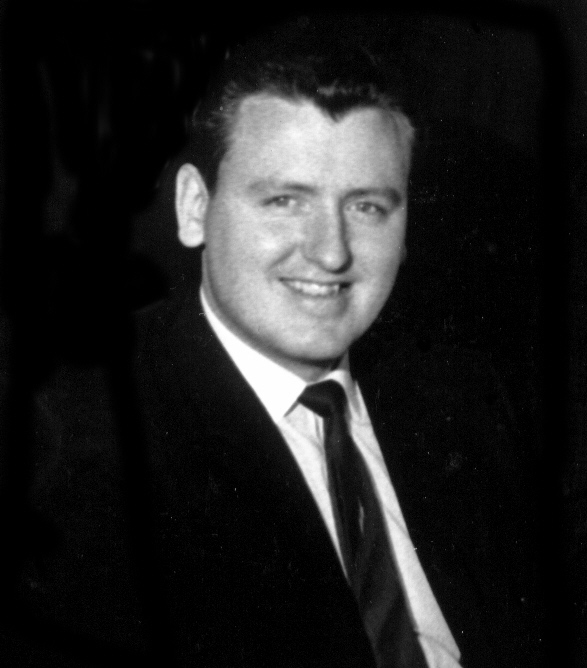 Gerry Isherwood was a special guest on Bud Riley's weekly TV quiz show. 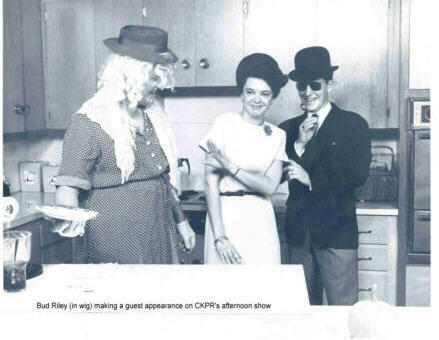 Bud Riley (in disguise with cream pie in hand) teamed up with Cal to make a surprise visit to Elinore Nickolson's afternoon TV show. The popular hostess turned the tables on Bud and re-directed the pie into his own face. 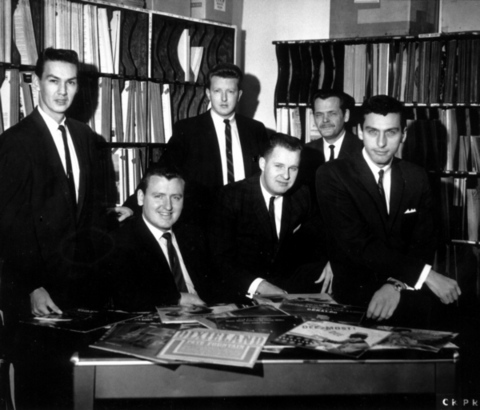 Video and Audio clips from www.rockradioscrapbook.com and private collections of Doug Thompson, CHUM Archives, Charlie Ritenberg, Bill Dullmage, Bud Riley, Tom Fulton, Bob Carr, Westlyn Mather, Don Shuttleworth, David Ross, Mike Cleaver and others. Gerry Isherwood and Jerry Godin surprised Bud Riley with a going-away party. The staff gathered in a recording studio and asked Bud to help them with a (fake) technical problem. CKPR RADIO AND TV, THUNDER BAY, ONTARIO. In 1963, former C-HOW programme director Bill Moyer convinced Bud Riley to move to northwestern Ontario with the promise of some TV experience. Bud's day started with the morning show, 5 am to 10 a.m., continued with commercial production, noon TV weather "The Weather Outside", a midday interview programme "Meridian", another radio studio session producing commercials, then remote on-site live radio spots from a car dealership Consolidated Motors (3-5 PM), back to the studio to do TV weather again and later at 11pm, another TV weather presentation, introduction to the nightly movie feature and finally, the station sign-off at approximately 12:30 to 1 a.m. 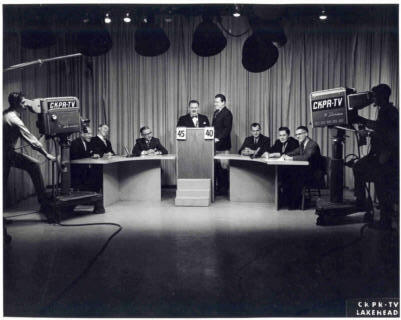 Bud also hosted a weekly local TV quiz show with various service clubs competing with each other. Bud, as radio programme supervisor, also undertook to revamp the music mix and oversee the creation of a promotional weekly top 40 music list distributed at record outlets and other popular venues. As a morning man he shook thinks up in Thunder Bay when he decided to wake up the Sleeping Giant, a local landmark in the bay which was shaped like a man lying down. Bud modified a tape recorder to play his voice back in a deep bass which became the giant's voice when bud woke him up each morning to tell a joke. Some locals wanted Bud fired for "desecrating" the image of their most important local icon. Finally, under protest, Bud relented and went back to telling jokes in his own voice. 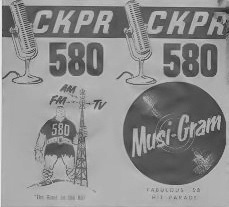 This image below, "Miss CKPR", symbolized the power of CKPR radio communications in the Lakehead region. It was a floor-to-ceiling wooden cutout that was installed in the Fort William studios. 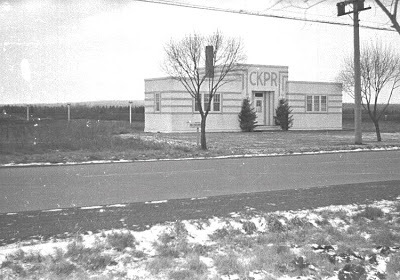 Sometime after 1964, it was moved to CKPR's Port Arthur studios. Tom Ross was CKPR's first chief engineer. 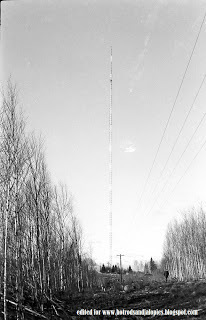 He was responsible for moving the old transmitter to Fort William (Thunder Bay) in 1930 and was involved in the station's technical improvements over two decades. In the 50s and 60s Tom was fully in charge of the operating the transmitter and its maintenance. He retired after five decades but regularly visited the station and the technical staff. Tom died on July 6, 1993. CKPR'S Tower located between Port Arthur and Fort William in a region called Inter-city. 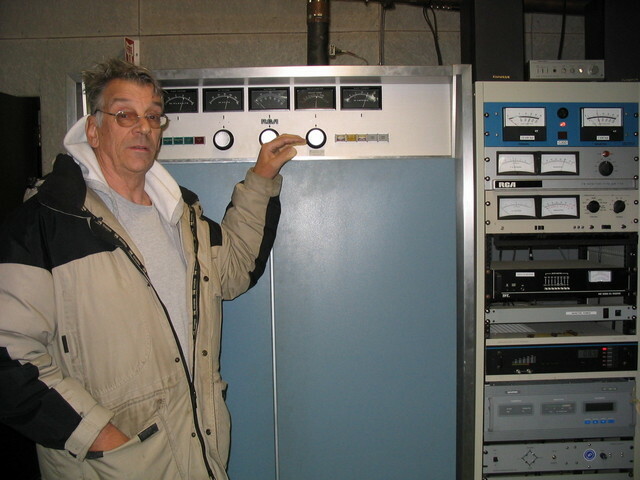 This was the transmitter that engineer Tom Ross brought up to Thunder Bay from Midland, Ontario, the station's original location. 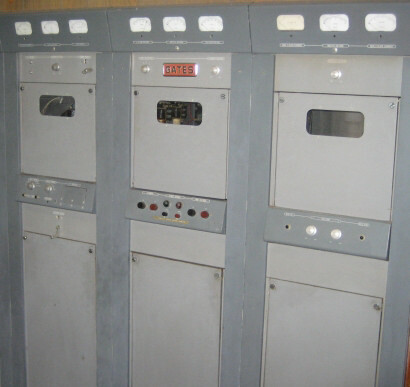 This is the Gates 5000 watt transmitter commissioned in 1959 and in operation until it was replaced on July 5, 1984, by a Nautel solid state Ampfet-5. Manfred Volbracht (left in the photo) and Willie Kristiansen (right) were Gerhard's assistants. Willy was the TV board switcher and a back-up technician. 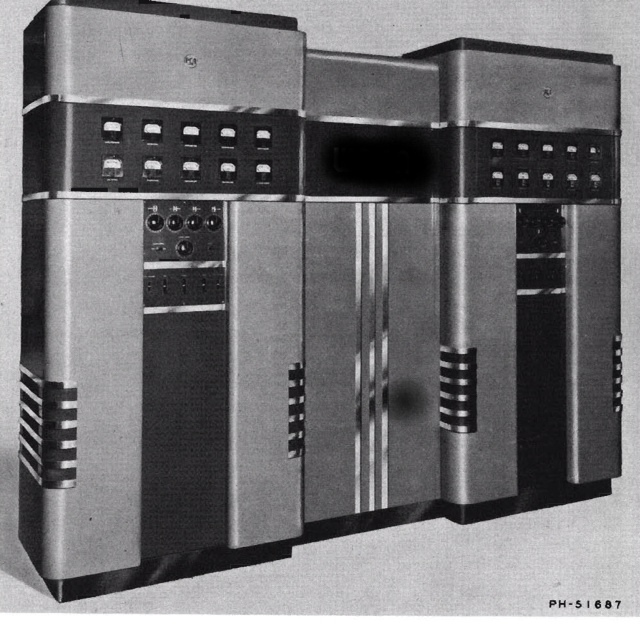 Both Willie and Manfred were innovators capable of building broadcast components from scratch using the latest solid-state transistor technology. 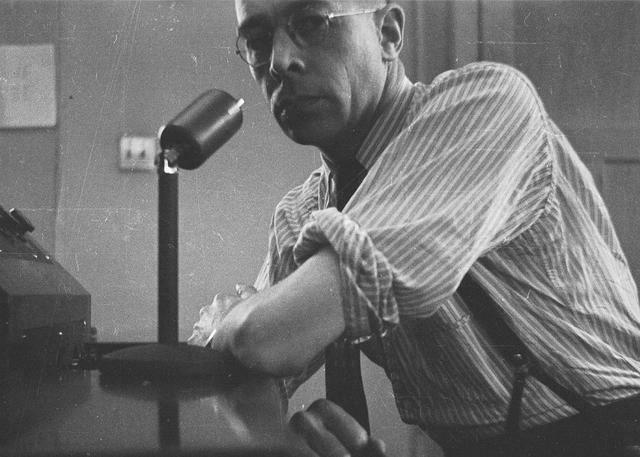 Gerhardt, however, bucked the broadcast engineering trend of that day by insisting that only expensive, CSA approved and manufactured components could be used at CKPR. As Bud Riley remembers it, in 1963 Willie and Mandfred proudly showed off a transisterized, miniature amplifier they had mounted on an O'Henry chocolate bar cardboard insert and installed inside the tone arm of a studio turntable. Gerhardt was furious and forbid them to use it on his equipment. Undaunted by this, Willie on his own, undertook a commission from a start-up cable TV company to build the equipment, (including a studio camera), to service the isolated community of Terrace Bay, Ontario. 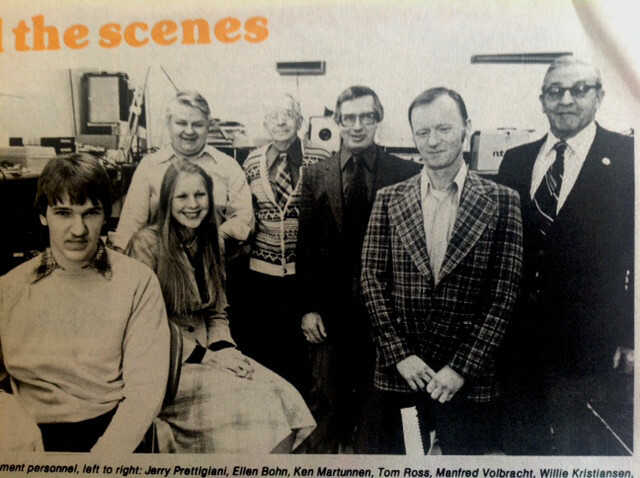 In 1984, Manfred replaced Gerhard as chief engineer at CKPR-TV. ​Ann Polick (Mrs. John Lark) ​was the CKPR bookkeeper. Phil Collins came to CKPR from Winnipeg and took over the evening shift from Steve Hunter. ​George Jeffrey was CKPR manager and sales manager. He was one of the founders of the station. 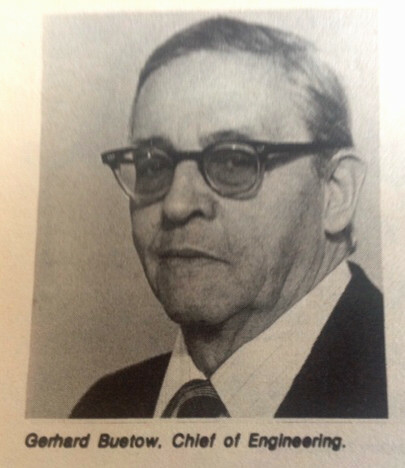 He was also known for his involvement in creation of the Northwestern Ontario Crippled Children's Centre officially opened in June, 1969, provide treatment and care for disabled children from surrounding communities. 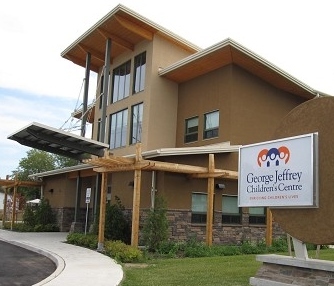 In 1983,the Centre was renamed the George Jeffrey Children's Treatment Centre in recognition of the former director and Chairman of the Board and for his dedication to children with disabilities. 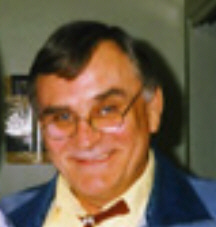 Garnet Conger was a CKPR-TV producer/director in the 60s but advanced to station manager. 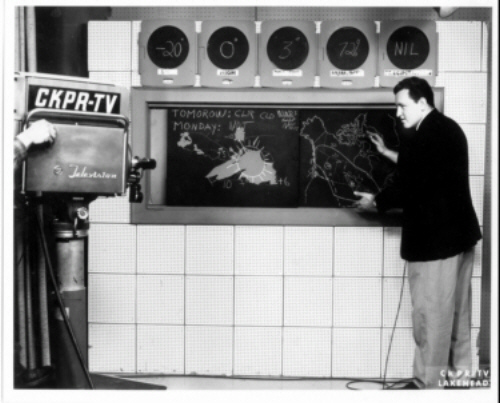 Garnet produced Bud's weather report (see photo on left) He also achieved entrepreneurial success with his Toronto-based companies, Affiliates 21, Cardinal and Thunder North Broadcast Services. Garnet died in Elkton, Maryland, on Sept. 30, 2011. 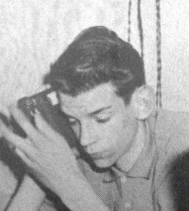 Graham Thomson was the senior announcer on the staff. His voice was always in demand for radio commercials, especially the "Giant On The Hill" promo series (written and produced by Bud Riley) because of his authoritative tone. Graham also excelled in TV production. He was the host of several TV shows but the most popular one was his camping and outdoor show. The Brill Co. buses in Port Arthur and Fort William were equipped with radios and antennae supplied by CKPR so passengers could listen to the station while riding the transit. 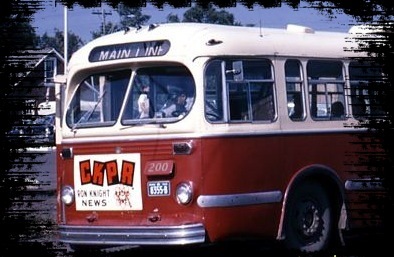 Note the CKPR poster on the front of the bus promoting Ron Knight's news broadcasts. Gary Parr came to Thunder Bay from St. Johns, Newfoundland. Gary started his career in Iroquois, Ontario, and gained radio experience across the border in N.Y. state. His later employment in St. Johns lasted only a few months before signing on with CKPR. After a couple of years in Thunder Bay he moved on to Kingston. Later became a very successful programme director at several stations including a market leading CFOM in Quebec City. 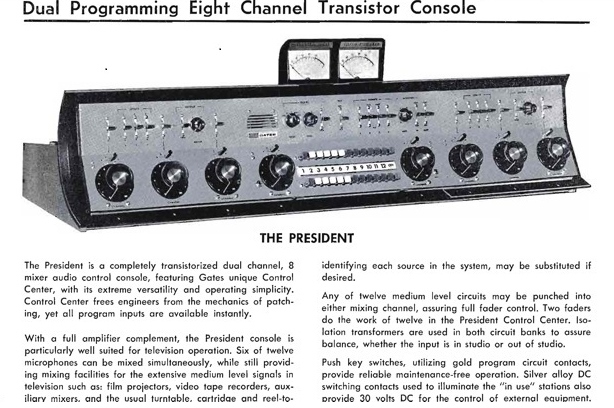 Does anyone remember that owners of radios were required to own a license for it? Jack Masters (born John Gerald Mastrangelo) started his broadcast career in 1952 with an announcer's job on CKPR radio but switched to TV in 1960 where he rose to become the TV station manager. 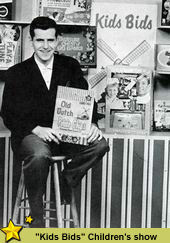 In the 1960s, he hosted "Kids Bids" in which kids bid on prizes in the CKPR studio. 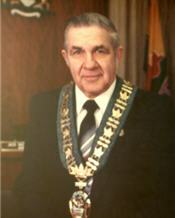 He created the area's first live talk show titled "Focus" which eventually was renamed "Around Town" He was elected to Parliament in 1980 as the Liberal member for Thunder Bay-Nipigon (1980-1984) and then became mayor of Thunder Bay from 1985-1991. Trevor Kidd brought a western outlook to the station. Trevor always exuded a serious demeanor even when delivering a funny story which made him the most entertaining announcers on the staff. He left for CFRA/CFMO-FM in Ottawa where he did the mid-afternoons before switching to the morning shift. He was there for about 26 years. In 1990, he was still at CFMO-FM, (later renamed CKKL). When the station went all talk format, he left and settled in Vancouver in 93. In 2004 he was in Winnipeg at CJNR which lasted only two years. He returned to Vancouver and fully retired. Bud Riley recalls: "I remember a story he told me about working for a street-level station, CKDM in Dauphin, Manitoba. Just before going on the air one rainy night he spotted a large rat crossing the street heading for the open front door. He had a deadly fear of vermin. He could not get to the door to close it because he had only seconds to start his show. He was convinced the rat got inside. At some point during his newscast, his pant leg moved as sometimes happens, and Trevor, thinking the rat brushed his leg, squealed like a sissy (his word) into the open mike. Off the air a few minutes later, he practically tore the place apart looking for the rodent. The following night, still convinced the intruder was hiding somewhere behind the shelves in the music library, he kept his 22 calibre rifle by his side for the entire shift." Trevor Kidd died in Vancouver at 76 on May 20, 2017. Jerry Godin was another young Welland man hired by Bill Moyer. He did not have much interest in doing television so stayed with his afternoon radio programme. Later, he and his wife, an advertising model, opened an agency in Toronto. Jerry continued his announcing career with his own company. 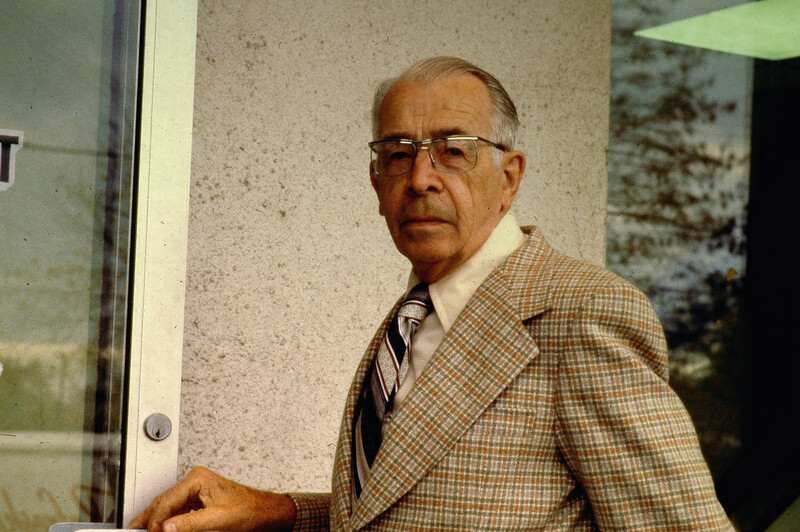 Zeller's Department Store hired his company to record daily and hourly sales specials for play-back in the stores. 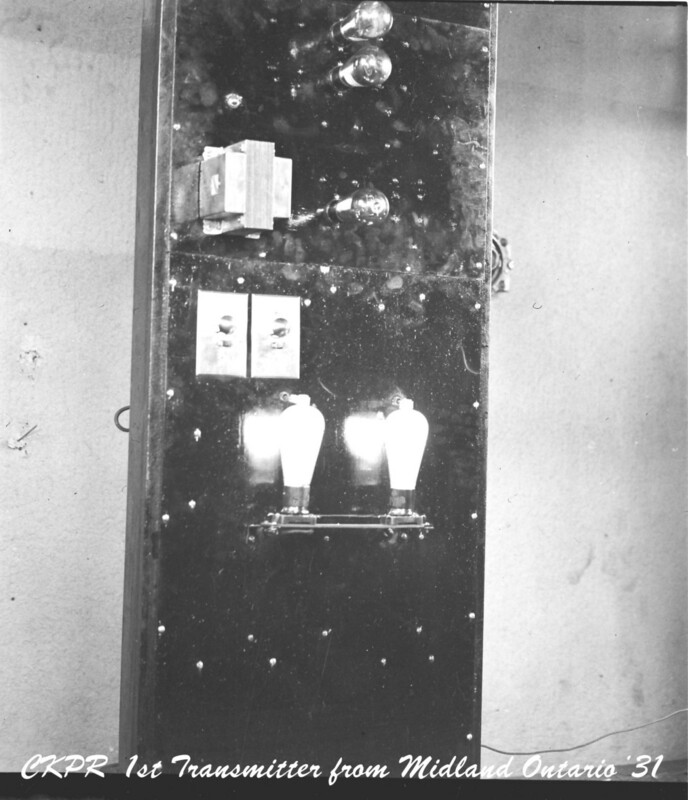 The slide on the left (constructed by station artist Bruce McNally) was used on TV to promote Bud's morning radio show. ​​Video tape was not available to local TV stations in the early 1960s so commercials were done live. CKPR TV did not even have tele-prompters. 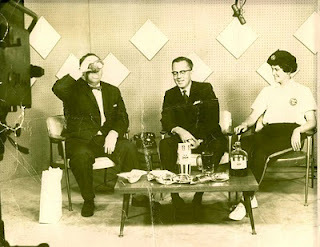 Bud's first foray into live TV at Thunder Bay was on the noon-hour show hosted by Warren Knox. 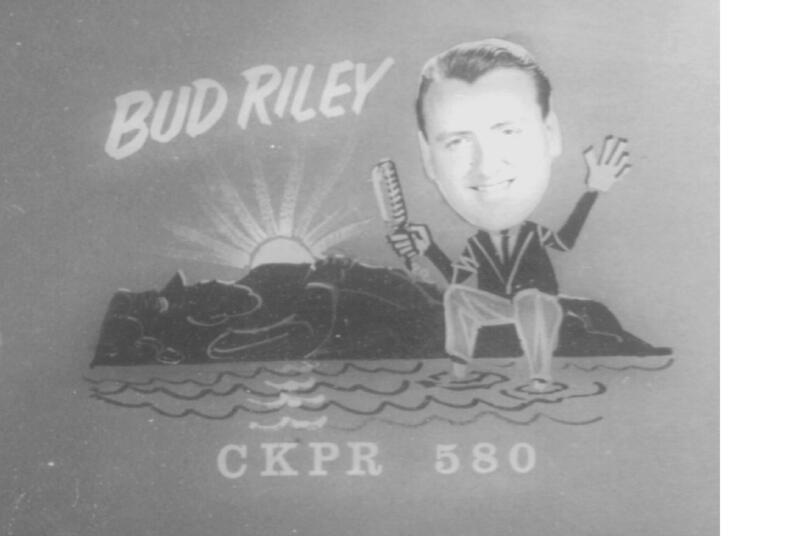 The show's focus was to introduce Bud to the community as the new morning announcer on CKPR radio. It was also Canadian Radio Week designated by the Canadian Radio Sales Bureau. The set was decorated with radio memorabilia, including Victrolas (wind up record players with large brass trumpets), old radios and posters commemorating Canadian radio history. 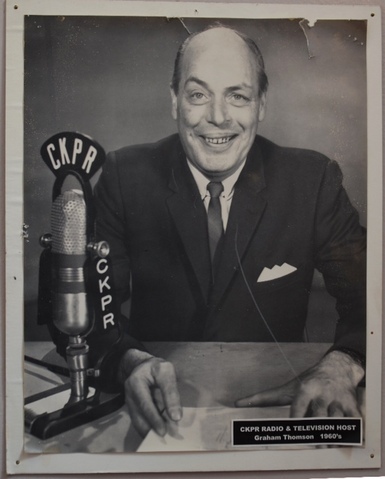 Ron Knight, started his career in Ottawa at CFRA in 1954. The following year he was at CKRN Rouen Noranda, Quebec but in 1956 he moved to CHOV Pembroke. 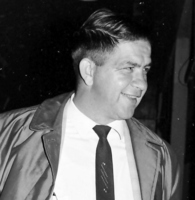 Back in Ottawa in 1957, he stayed through most of 1958, did a short stay at CHUM, and then landed in Fort William (now Thunder Bay) as news director at CJLX until 1961. His desire to experience TV production brought him to CKPR just down the street in Port Arthur. His nightly news programme was titled KNIGHT EDITION NEWS, with O'Keefe Brewery as his sponsor. 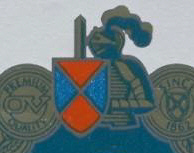 The company logo was, appropriately, the head of an armoured knight. In 1969, Bud and Ron worked together briefly at CHUM in Toronto. From Oct 1967 to Sept. 1971, while he working part-time at CHUM, Ron was the Liberal MPP for Port Arthur (now Thunder Bay). Ron made political history as the first member to deliver a speech in a native language (Ojibway). At first, the Speaker of the House would not allow it but Premier Bill Davis spoke up and said he wanted to hear this piece of history. From 1972 to 1980, Ron hosted a talk show at CFGM Richmond Hill and did the morning show there for a short while before moving on to CKAN in Newmarket, Ontario, from 1980-1981. Then he left for CHAY-FM in Barrie (1981 to 1986) where he did the morning show from 6 a.m. to noon. It would seem like a long shift but most of it was pre-recorded with only four scripted breaks. He retired from radio and became a noted corporate motivational speaker. He now lives in retirement in Barrie, Ontario. 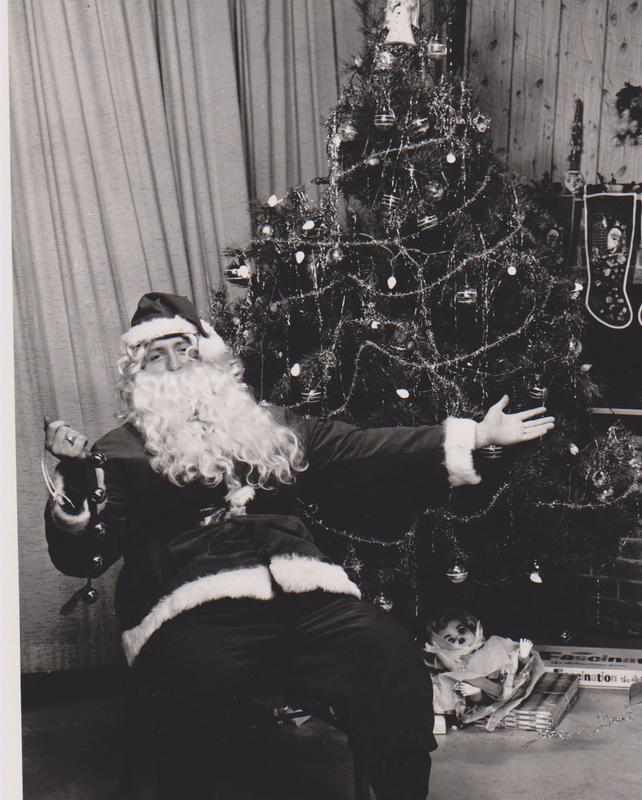 During the Christmas season of 1963, Bud Riley was drafted to play Santa Clause on CKPR-TV which required two plump belly cushions. Meanwhile on radio, Hector Ede, a local postal worker, annually volunteered to be Santa's helper during the Christmas season, reading letters from children as, "George The Porter." He did this for many years. 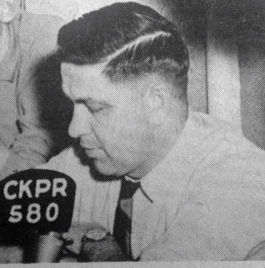 Bill Moyer, came to CKPR Radio in 1962 as programme director. He enticed Bud Riley and Steve Halinda to follow him. 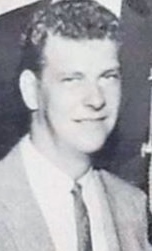 After several years as pd and host of his afternoon "Carousel" music programme on FM, he left Thunder Bay for Kitchener where he had been a sports broadcaster at CKCR (CHYM) in 1953. 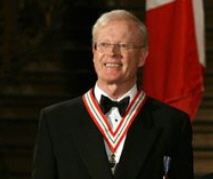 Moyer wrote three books on regional history: "Waterloo County Diary" (1970), "This Unique Heritage" (1971) and "Kitchener: Yesterday Revisited: An Illustrated History" (1979). Steve Halinda, an excellent radio announcer, had the look of a TV anchor man but at first, was not totally comfortable in the medium. Nevertheless, he took on his CKPR television assignments (the 11pm news for example) with resolve and did more than a credible job. He later moved to Winnipeg and then Edmonton. In both of those cities he worked in television as news director. 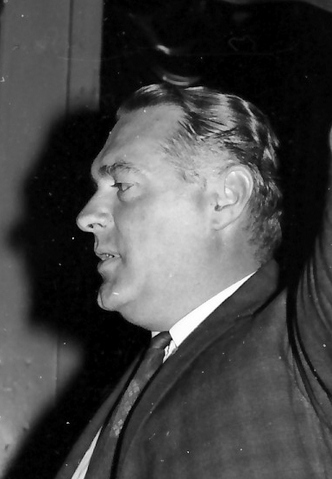 In Winnipeg, he played a major role in a successful campaign to allow radio mics and TV cameras into the Manitoba Legislature. Steve married Connie Chicorli whom he met when both were working at C-HOW in Welland. Now in retirement in BC, Steve has taken up painting---see a sample of his art work..
Cal Dring started as an announcer but by 1963 was moving into sales. Cal hosted two daytime shows on CKPR radio, the "Mixing Bowl" 11 AM to 12 noon which featured contemporary music and merchant give-aways and "Trading Post" from 1 to 2 PM. On TV he hosted "Kids Bids." (also see Jack Masters on this page). Cal hosted a popular teen dance party caled Youth 62. Holiday Hay Ride sponsored by O'Keefe Beer. In 1964, he moved his TV career to Green Bay, Wisconsin, and then to Chicago. Cal ended up at KATV in Little Rock, Arkansas, as a TV weather man and host of a 7-8 AM country music show, featuring local musicians and performers. He eventually went into sales and by 2002 he was the station's sales manager. ​Today Cal continues performing on TV commerials. ​​More on Cal Dring on-air activities in 1962. Gerry Isherwood was a colourful English-born personality who emigrated first to Halifax and then to N.Y City. He admitted to scamming his way into the United Nations press group and for a short time freelanced U.N. news to British and American news outlets. He landed a job at WOR, the N.Y. City talk show working on the Long John Neville show. Gerry was bold and brilliant and eventually went to work for Goodson-Todman on the afternoon Merv Griffin TV show. He was also a guest on "To Tell The Truth" a popular network TV show. In 1963 he arrived in Port Arthur and took over the mid-morning talk show from Bill Moyer on CKPR radio and became the most liked personality on the air. In the 1970s and 1980s, he hosted his own TV show, "Around Town", following the 6pm TV news. Among his on-air campaigns was an attempt to stop street racing with the creation of a drag strip for hot rods. He hosted a programme with Dave Cano, Jim Hamer and other members of a local car club to get approval of the idea. Despite Gerry's tireless efforts over several weeks, the idea failed to get official support. Gerry carried on tilting at a lot of other windmills in his time before the mic and the cameras. 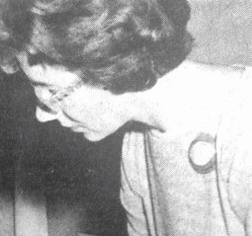 Anellen Lark (photo, Dec. 1963) started in radio at CKPR and from there went to CBC in Vancouver. Her next broadcasting job was at CFNB in Fredericton, N.B. Anellen wrote commercials and did some on-air work there. She married John Lark and moved to his new Canadian Air Force posting in Senneterre, Que. 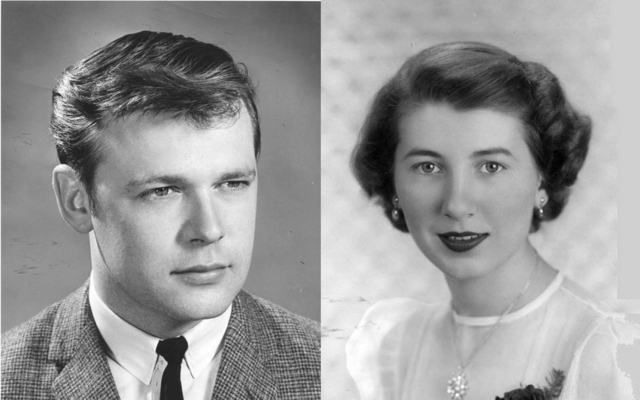 Then, as civilians, the couple returned to home town Port Arthur where both were employed at CKPR. After the couple divorce in the late 60s, she, married Roy Clara and started a new family. Widowed with the death of Roy, Anellen reconnected with John who had recently lost his wife Ann Polick. Anellen is former member of the Elks Clown Band, who calls hereself "Nellie Belly" and regularly entertains seniors at nursing homes. Anellen keeps fit by walking; she was featured in an article by the Thunder Bay District Health Unit. 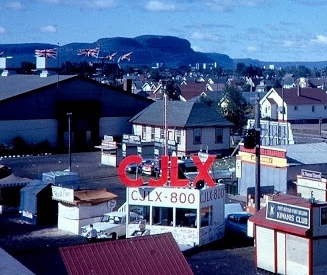 In the early 1960s, CJLX was the main competition for CKPR radio. Photo shows a booth at the annual Lakehead Fair. CJLX eventually lost its broadcast license. 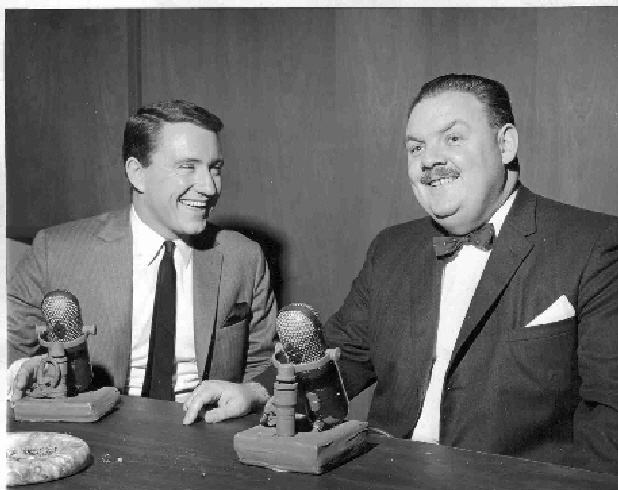 Gerry was a guest host Bud Riley's weekly quiz show. 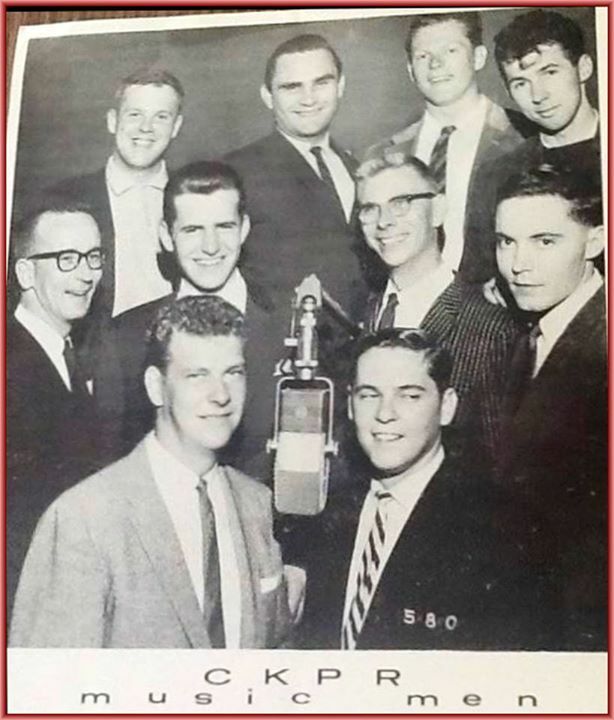 CKPR on-air staff around 1960 at Fort William studios. ​ newspaper article about Kids Bids published on June 7, 2015. Music librarian Dorthy Hopkins.She married a policeman. 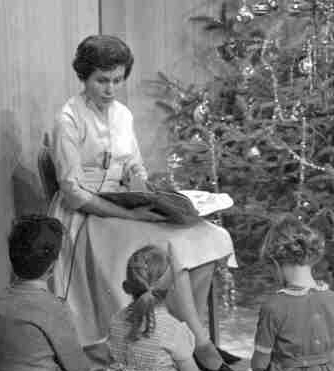 Elinore Nickolson hosted the afternoon TV show, featuring segments on cooking, local issues and guest interviews. In the 90s, Trevor did several video voice-overs. One project in particular was a series of "How To" instructional videos regarding the proper set-up for the famous BAMBI BUCKET fire-fighting system. John Lark, the CKPR news photographer and film maker, was married to Anellen but later divorced and married station bookkeeper Ann Polick (below). He went into TV sales for a few years. When he left CKPR, he worked for a number of years at the Thunder Bay Airport in security taking the pictures for background checks and security passes. Troy Clara, the son of Anellen and Roy Clara, started his broadcast career at CKPR. The talented Troy went on to join Sportsnet and became the Toronto Blue Jays TV head director. He also has his own production company covering broadcasts of curling, hockey, and Golf. More CKPR jingles from early 60s. 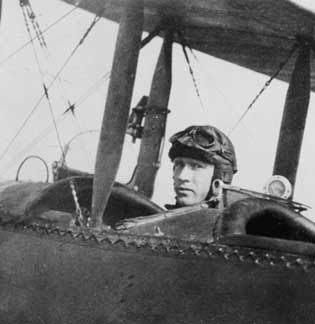 Hector Dougall World War Record. Elizabeth McNally (nee Johnston) CKPR copy writer. After marriage to artist Bruce McNally in 1966, the couple moved to Tasmania Australia. Liz continued her career as a radio copywriter and won many awards for her work at 7HT Radio. She retired in 2018. Bruce McNally was an excellent graphic artist who occupied a small studio at the back of the TV control room. From there he managed a thriving freelance business and provided CKPR TV with a variety of TV graphics and slides such as the one that promoted Bud Riley's radio morning show and the Giant On The Hill logo for the weekly music chart. Bruce divorced his wife (Gerri Hogan) in 1966 and married copywriter Elizabeth Johnston and the couple emigrated to Tasmania Australia. 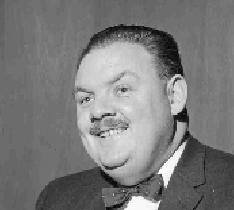 Carlton Bruce McNally died in 1978 at age 48 due to a massive heart attack. Liz McNally scattered his ashes over Caribou Island on Lake Superior.